Shortly after 3.45pm today, Monday 22 December 2014, an innocent man is expected to walk free from the Supreme Court in Adelaide after nearly 20 years in jail. Henry Keogh’s conviction for murdering Anna-Jane Cheney was set aside by the Court of Criminal Appeal in South Australia on Friday 19 Dec 2014. A bail application is being made at 3.45pm today, 22 Dec, at the Supreme Court. It is expected the bail application will be unopposed, and that Keogh will be allowed to leave the court as a free man, presumed innocent. The Court of Criminal Appeal ruling on Friday allowed for the possibility of a retrial, but it is virtually impossible for that to occur, given that the two principle witnesses for the prosecution said during the recent appeal process that the forensic evidence was inconsistent with a murder hypothesis. In other words, there never was a murder. No crime was committed. A man has served nearly 20 years in jail because of bad forensic science. Keogh’s is the first case in Australia to get into court after passage of a new, breakthrough “Right To Appeal” (R2A) law in South Australia* in mid-2013. Before the R2A law, prisoners who had been convicted, then had a second chance at a Supreme Court appeal and possibly a High Court hearing as well, could only have their case reviewed if they went through an archaic “Petition for Mercy” (PfM) process. The PfM was made to the State Governor: in reality, it went to the Attorney-General to decide, becoming a political as much as a judicial issue. Above: Henry Keogh and Anna-Jane Cheney, about 1993. At least one PfM, fully documented, sat on the desk of an Attorney-General for four years. In another case, it appears an Attorney-General’s “expert shopping” overseas produced an opinion the AG chose to prefer over that of two Australian experts. Many convicted prisoners want to, and deserve to, get a new hearing. There are usually a number of reasons why their conviction is unsafe or unsound, to use the legalese words. mistakes and inappropriate behaviour in court (wrong rulings as to evidence admissibility by the judge, inappropriate behaviour by the prosecutor, or jury misbehaviour). The Henry Keogh case had its fair share of the above problems. Worse though, the problems were known to the state of SA for more than a decade, and the state refused to act. There is an overwhelming case for the SA government to establish a Royal Commission into why it has taken so long to recognise the Keogh case as a miscarriage of justice, when it was so obvious at least 13 years ago (see below). The Royal Commission, Civil Liberties Australia hopes, will morph into an inquiry into the state of justice in Australia, as illustrated by the demonstrated problems in SA. The same injustices inflicted on Henry Keogh have occurred – and are occurring today – elsewhere in Australia. Civil Liberties Australia is calling for all arms of the legal system in Australia to actively promote a positive ‘Better Justice’ campaign for the next decade. As a developed nation, with a refined legal system, we deserve better than we have now. Hospitals and doctors learn from rigorous inquiries into their mistakes, as does the aviation industry when a plane crashes…but the legal/justice system rarely holds inquiries and never translates any findings in one state into a better police, legal and justice system in all states and territories and nationally. The Henry Keogh case is just one of many cases around Australia where the establishment – politicians, judges, lawyers, forensic experts, police, academics and organisations like ours as well – have let the states and territories, and the nation, down. David Harold Eastman, recently released on bail but facing another trial in the ACT after spending about 19 years in jail, convicted on false forensic “evidence” and after information was withheld from his defence team by the prosecution. It is fair to say there are probably at least a dozen other major cases where the wrong person has been jailed in recent years: there are cases in Victoria, NSW, Queensland, Western Australia and the Northern Territory. Estimates, admittedly rough, say that 2-3% of people jailed for the most serious crimes in Australia are possibly innocent of what they have been convicted of. There are about 300 homicides in Australia each year: if 2% is a reasonable estimate of wrongful convictions, there are about six (6) people wrongly jailed for murder in Australia each year. The nation -– all western nations following the British justice system – needs a better system for identifying which cases may be miscarriages, and for proving or disproving the fairness of the convictions. We need Better Justice…because what holds true at the murder and major crime level almost certainly is worse at lowers levels of the legal system, where there is not as much external monitoring and checking on how well the system is working, or not. The Keogh case is a classic demonstration, though, of how hard it is to achieve justice. Even when it was outrageously obvious that Keogh had not had justice, the SA government failed to act. On 21 October 2001 – more than 13 years ago – the Adelaide legal, judicial and political establishment, including the then Attorney-General, were left in no doubt that numerous convictions involving former state forensic science head Colin Manock were beyond unsound…they were dangerous. Prime amongst them was that of Henry Keogh. Released today, we expect, Keogh has been forced to serve 13 more years because the Adelaide establishment failed to act. But according to QC Kevin Borick, former detective Chris Patterson and law professor Bob Moles, reopening one case (the Keogh case) alone isn’t enough. They believe there’s a need for a far more sweeping review -– a review which would discomfort the legal fraternity no end. It seems to me that with the number of cases that have now become apparent, it creates a terribly difficult situation for the “establishment”, if I can use that word, in general because the question of verdicts, the question of investigations, are all likely to be aired and it can cause an enormous ripple and then a wave right through the establishment in South Australia as to how this could possibly happen without somebody questioning it. Are you prepared to re-examine any of the cases where there are concerns about Dr Manock’s evidence? Well, I don’t want it to be said that I am convinced that there is any case to be made as a result of the assertions that others are making about Dr Manock, but what I do want to, to assert is that I’ve got an open mind on all of these matters. If the proper processes are followed, if the evidence which is provided, raises a significant doubt about the safety of a verdict, of course it will be looked at. And everyone who makes applications to me as attorney-general can be assured that they will be properly looked at. It could lead to the reopening of a number of other cases. Many, many cases, couldn’t it? Many, many cases indeed. But if that’s where we have to go, then I think that if we’re seriously concerned about the institutions of justice, then that’s where we have to go. Dr Manock would not be interviewed and would not discuss the details of any case. So the bewildering questions about how he worked and how he reached his conclusions remain unanswered. What is clear is that there’s much more in question than one man’s competence. The much bigger question is how an entire system has let so many doubts go unresolved in so many cases for so many years. I think you have to lay the blame directly with the legal profession and with the judiciary. It was our responsibility to make sure something like this didn’t happen — and I include myself in the same criticism. It did happen. And now we have to put it right. 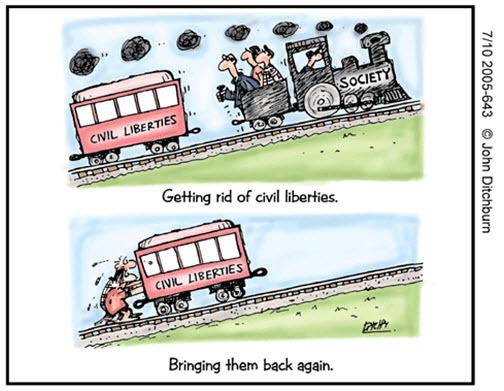 Civil Liberties Australia is actively campaigning, with Dr Bob Moles and his Networked Knowledge organisation, for the R2A law to be ‘mirrored’ in all states and territories of Australia, and federally. The Tasmanian government, through Attorney-General Dr Vanessa Goodwin, a criminologist, has already agreed to do so. Jo are you able to provide any details. If you word carefully you can do it. Police are nominating suspects -hunch – and then building the case around the nominated person. It has to stop. We are very happy and Pleased For Mr Keogh about time , We are in a situation of Two men convicted of a Murder they did not committ, Full confession given , No dna all hear say so called evidence and still to this day two men after 17yrs in prison are still not being heard for the Truth , its very sad for all concerned , keep up the great work . I was lucky enough to get that not guilty first time but experienced all the same problems from DPP to coroner. Detectives it was found to b natural causes but still stood trial n always have it over head since .. Good luck. Henry. That is certainly an interesting and a reasonable point of view taken by a legal academic (Dr Bob Moles) and possibly a view that most legal, medical and journalistic followers of this case would share, as well as the general public. But is that a view that a physical scientist would take if he/she was aware of the scientific and the medical aspects of this case (the autopsy report describing the bruising; the body chart showing the number and the distribution of the bruises; photographs of the lower legs showing the bruises on both legs; the expert medical opinions during and after the two previous trials; and the physical circumstances of Ms Cheney’s death in a small bathub that was approx 1/2 full of water, i.e. maximum of about 16-17cm of water depth at the plug-end of the bathtub)? Given that the eminent forensic experts on the appeal didn’t incorporate into their analysis and conclusion the physical data about the shape, size and the detailed features of the bathtub in which Ms Cheney died, it is baffling to think how they could, with any confidence, conclude on the basis of incomplete forensic data that the death was accidental? How can we rely on the opinion of eminent forensic (and non-forensic) pathologists who didn’t factor into the equation the features of the bathtub in which Ms Cheney died, given the significant number of reported bruises (and their rather odd distribution and grouping) and the fact that it is very difficult for a person of Ms Cheney’s size to accidentally drown in such a relatively small bathub that at most had 16 – 17 cm of water depth at the plug end? Science demands more accuracy, rigour and reliability than what has been achieved in this case so far. I am astounded by the fact that an eminent and a very senior academic forensic pathologist can submit a report with such a statement without doing any objective scientific analysis of these bruises. One would have expected that at the very minimum the mentioned forensic pathologist (as well as all others who commented on this set of bruises) would have first attempted to exclude the possibility of these bruises being caused by the bathtub edge before offering an opinion on the possible cause of these bruises. What if the features of these bruises (their size, shape and their relative spacings) can be matched to the cross-sectional profile of the longitudinal section of the bathtub edge? This would significantly alter the evidentiary landscape within which forensic pathologists may find geometrically related patterns of evidence with which to build a more reliable picture of how Ms Cheney died. Whilst not advocating for the guilt or the innocence of the accused, I am of a firm view that before anyone can offer a sound scientific conclusion on the manner of Ms Cheney’s death, more forensic work is required. I have identified the bathtub features and their geometrical relationship to the bruises on the deceased’s right leg and the top of the head to be the critical missing link in the reports and opinions of the various pathologists (and other forensic experts) who were involved in this case to date. In other words, no credence whatsoever can be put in any analysis of the “bruising” because bruising simply did not exist in any relevant legal sense. The Appeal Court was told be expert forensic witnesses that the death was “probably” accidental. It would be impossible to prove beyond reasonable doubt that a murder occurred in circumstances where an Appeal Court has already found that it was a “probable” accidental death. The Appeal Court left open the option of a new trial…but only on “non-forensic” evidence. – Ed. I don’t think one can conclude that “there was never a murder”. What one can conclude on the basis of the forensic evidence that was presented is that the forensic evidence is inconsistent with the mechanism of assisted drowning as proposed 20 years ago. It remains to be seen whether the death was as a result of an accident or whether there exists a mechanism of forced drowning that is physically plausible, is consistent with the various bruises on the deceased’s body and is also consistent with the estimated depth of water in a small bath (approx 1/2 full).